Certificate Course in Industrial Finance, Certificate in Insurance. She has been a banker having worked with Oriental Bank of Commerce for 37 years.KP Education is an initiative of highly qualified and senior professionals, to help young boys and girls and other professionals to achieve their career goals. KP Education has been set up by Mrs. Neelam Dhingra, a banker having worked with Oriental Bank of Commerce for 37 years. She has put in her service with the Bank in various capacities, as Branch Manager, Senior Manager, Chief Manager heading Branches, including large and extra large branches, across the country. ( She has also been an Asstt. General Manager in Mumbai and Bangalore Regional Offices of the Bank.) At both these places, she had been controlling and monitoring a large number of Branches with sizable amount of business. She has also received various awards for her commendable achievements in different fields in various branches. She has a meritorious academic record, having been a Rank Holder and also topper of the District in her B.A. examination. She is Ph.D, M.A. English, B.Ed., CAIIB, LL.B. (Acad) and also an M.B.A. She also got the Ist Rank in the Postgraduate Diploma in Personnel Management and Industrial Relations. In addition, she has also passed exams in Industrial Finance and Insurance. She is also a Doctor of Naturopathy/Natural Medicines. She belongs to a family of accomplished professionals. Her husband K.L.Dhingra is P.hd & M.B.A. from Faculty of Management Studies, University of Delhi. In addition, he is M.Com., LL.B. (Acad), CAIIB and has also passed ACIB from U.K. He is a Fellow of Indian Institute of Banking and Finance, Mumbai, Fellow of Chartered Institute of Bankers, Scotland and Fellow of Financial Services Institute of Australasia (Finsia). There are very few professionals in India, who have three Fellowships from Indian and International Institutions in the field of Banking and Finance. Having started his career as a Probationary Officer of Dena Bank, he rose to the positions of Chairman and Managing Director of two Schedule â€˜Aâ€™ Central PSUs. He has worked as the Chairman and Managing Director of Housing and Urban Development Corporation Ltd. (HUDCO), New Delhi - which is an all India Financial Institution. He has also been the Vice-Chairman of Standing Conference of Public Sector Enterprises (SCOPE) (a Forum for the Public Sector in India) for the longest ever period of 6 years. Her elder son Ankur Dhingra is an alumni of IIT, Bombay and IIM, Ahmedabad. He was admitted to all the six IIMs of the country in 2004, but he preferred to pursue M.B.A. from IIM, Ahmedabad - a top rated Business School in India. He was also selected for Singapore Airlines Scholarship for studying his B.E/B.Tech in National University of Singapore or Nanyang Technological University in the year 2000, but he chose to study for his B.Tech. in IIT, Bombay. He works now with one of the largest Banks of the US as an Executive Director. He got admission into six Universities of USA including Michigan University in the year 2000 on the basis of his GRE Score. On the basis of his GMAT score, he got admission into two top Universities of US in 2009 for his second M.B.A. Her younger son Ankit Dhingra has passed his B.E. from Punjab University and M.B.A. from Indian Institute of Foreign Trade, New Delhi. He is presently working with a Regulator in India, having been selected on the basis of an all India competitive examination. He has also passed his RBI â€“Grade â€˜Bâ€™ examination and has a very good score in GMAT. All the family members of Mrs. Neelam Dhingra have passed many competitive examinations including Bank P.O., CDS, GRE, TOEFL, CAT, GMAT etc. 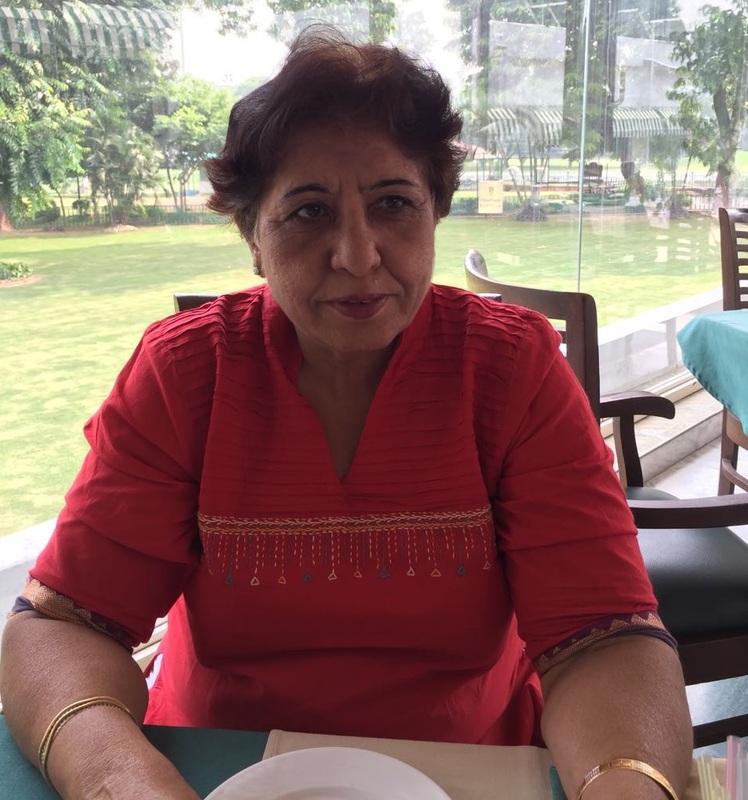 After having an accomplished career in Oriental Bank of Commerce for more than 37 years, Mrs. Neelam Dhingra has embarked on doing something worthwhile for the young generation. Every chapter and every topic covered with basic conceptual knowledge.